The Constantina Zorz Xydakis in Mykonos Town providing fully renovated rooms in the beautiful area of Scholi Kalon Technon in the center of Mykonos Town (Chora Mykonos). They are very special Mykonos accommodation units, built according to the traditional architectural style of the Cyclades Islands. 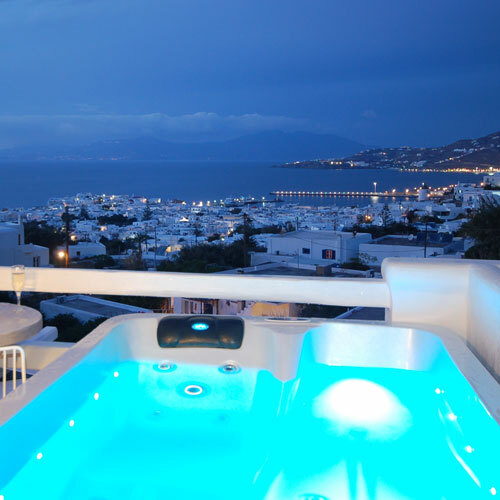 It offers a magnificent view of the deep blue Aegean Sea and the picturesque Chora (Mykonos town). Constantina Zorz Xydakis is comprised of spacious rooms that can accommodate couples, groups of friends, and families. The first priority of the management of the Constantina Zorz Xydakis in Mykonos Town, Marina and Christos, is to provide their guests with a hospitable environment. They are at your disposal for any information and assistance you may need during your stay in Mykonos, Greece. Superb services are offered such as daily maid service, room service, fax transmittal, car rentals -upon request-, transfer service to and from Mykonos Port and Mykonos Airport, 24-hr reception, car and motorbike parking, making your stay an unforgettable experience. 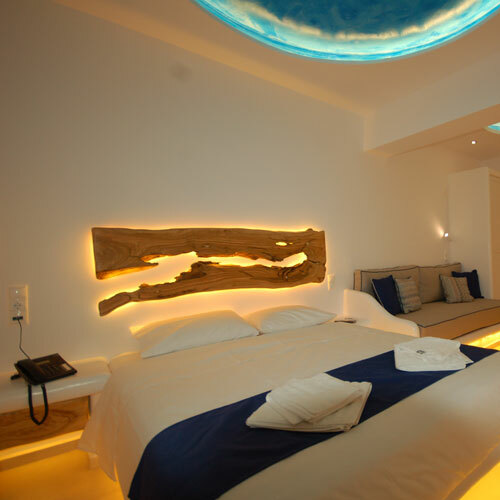 The Constantina Zorz Xydakis Rooms in Mykonos Town belong to the 3-key category and operate all year round. Enjoy at sunset, the orange-yellow shades of the sun resting on the sea, while at night the town is lit up and the ships in the port look like beacons in the middle of the Aegean. 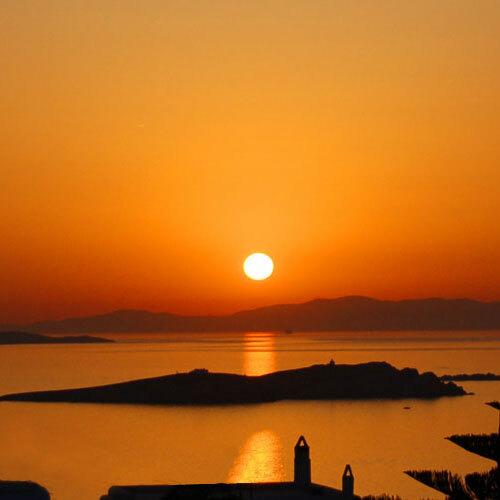 If you are spending your vacation in Mykonos, you are ensured an exciting and relaxing time. Known mainly for its nightlife and cosmopolitan lifestyle, Mykonos Town (Chora Mykonos) is a favourite holiday spot for all types of visitors who simply want to have fun and experience one of the most beautiful Greek Islands! Welcome to Mykonos, the most popular Greek Island and one of the prime holiday destinations in the world. Mykonos is a superb island which enchants its visitors with breathtaking beaches, amazing nightlife entertainment, charming Cycladic-style architecture, and wonderful historical sites. If you are looking for a versatile and entertaining vacation spot, Mykonos is the place for you! At the hospitable environment of the Constantina Zorz Xydakis in Mykonos Town you will spend amazing summer holidays, enjoying superb facilities, prompt and friendly service in the comfortable setting of our rooms with unique sea and Mykonos Town views!